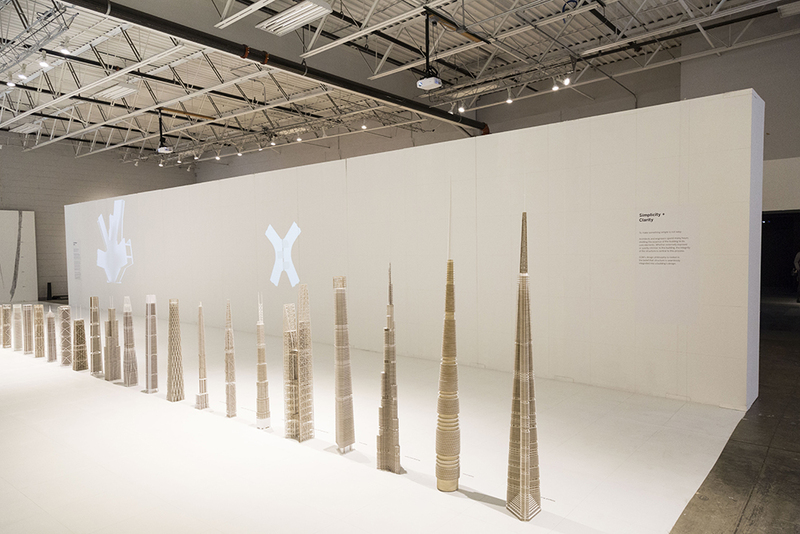 The widely-traveled exhibition titled Poetic Structure: Art + Engineering + Architecture showcasing the engineering and design legacy of Skidmore, Owings, & Merrill (SOM) will be on display at the MAK Center for Art and Architecture in Los Angeles starting this weekend. The exhibition will also feature a mosaic collage of hand-drawn sketches from SOM’s leadership team showcasing the firm’s ever-evolving design process. Included too will be an art installation and digital projections presenting visuals and work from globally-acclaimed artists and architects who have partnered with SOM to design large-scale public installations, according to a press release for the exhibition. Works represented include Janet Echelman’s Dream Catcher, James Carpenter’s Hope Tower, Iñigo Manglano-Ovalle’s Weatherfield, Jaume Plensa’s World Voices, and additional work by Pablo Picasso and Peter Zumthor. The exhibition will be supplemented by public programs, including panel discussions and off-site educational events. Poetic Structure is scheduled to run through September 2, 2018.